At VIVA IMS, we have taken extra care in providing the best possible infrastructure. 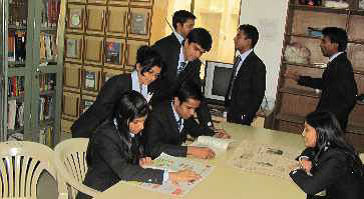 The Institute provides spacious classrooms, well equipped computer lab with round the clock internet and other facilities. The classrooms is designed and arranged to promote efficient learning environment with a seating capacity of 60 students. The classrooms are ergonomically furnished for comfortable learning’s and are equipped with modern communication and audio visual facilities like sound systems, internet. the classroom is flexible to allow for different types of learning activities. The Wi-Fi VIVA campus is built on lines of some of the best B-schools in the world with a broad range of dedicated facilities. The educational experience is augmented by a sophisticated and continuously evolving IT system that seamlessly integrates technology throughout the campus. Faculty and students are actively encouraged to use state of the art technologies in teaching, learning, research and allied academic activities. VIVA IMS has two state-of-the-art computer centers with over 60 Pentium IV PC’s (ratio is 1:1) all connected in a Local- Area- Network with 2 Servers. The 10 MBPS Leased line (Bharti) supports the various services offered such as email, browsing, access the vital databases ( eg. Online journal sties) and several other resources ( eg. SPSS, ProjectPro, Visio) on the institute intranet. The Institute possesses licensed software’s in the computer center. 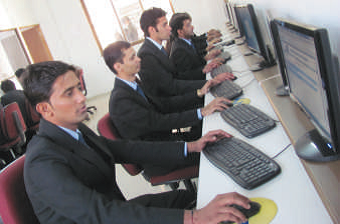 Free Internet Facility with broadband and WI-FI connection is available to students 24x7. The VIVA IMS library is a treasure house of knowledge and information, which has more than 7000 books, 57 national and international journals, 204 audio books and CDs, 33 newspapers and magazines on various aspects of management. VIVA IMS has also subscribed E-journals : J-GATE, CENGAGE Learning. With this rich collection of books, journals and the faculty guidance, conserved knowledge and ideas are revitalized and put to use in the education of the students. The college campus has a canteen which runs during the institute hours providing hygienic food to all at staff and students. The students and staff can avail tea, coffee and snacks with quality food at lunch time at nominal rates.